Representative Joe Sosnowski grew up in Carol Stream, Illinois where his father worked as a carpenter and his mother raised four children. Joe attended Northern Illinois University in DeKalb, and after graduation, Joe was elected as a City of DeKalb Alderman. While in DeKalb, Joe worked as a property manager for student apartments. Joe’s wife Roxanne was born in Belvidere, Illinois and attended local schools graduating from Northern Illinois University College of Law in May 2004. Roxanne’s family continues to reside in the Boone/Winnebago County area. 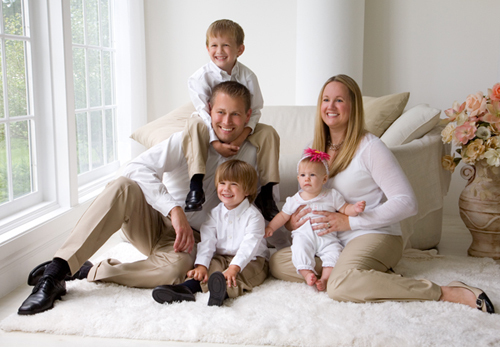 Joe and Roxanne moved to Rockford in 2004 and quickly became involved in local issues. Joe ran for City of Rockford First Ward Alderman and was elected in the spring of 2005 and re-elected in 2009. In 2010, he successfully ran for State Representative in the 69th Legislative District. He currently serves on the following House committees: Transportation Regulation, Roads and Bridges; Appropriations — Elementary and Secondary Education; Cities and Villages; and Aging. Joe is a member of Holy Family Catholic Church, on the regional board of Children’s Home and Aid, and a member of Next Rockford (young professionals organization). Additionally, he was the recipient of the Rockford Chamber of Commerce’s 2008 “40 Under 40” Award, which recognizes young regional leaders. Roxanne is an attorney with Barrick Switzer Long Balsley and Van Evera, a Rockford firm. Joe and Roxanne have two wonderful little boys (Aidan and Roman) and a baby girl (Ellie).